The whole goal of our ministry is to equip this generation of men to disciple the next generation of men into Christ-like masculinity. 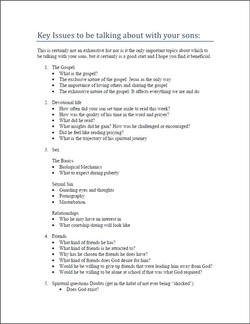 the role of parents is God given, foundational and vital. Ok. 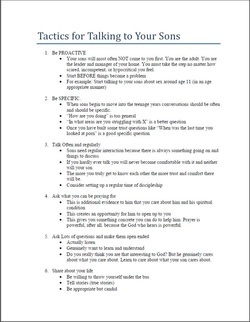 I know I ought to be talking to my sons but what exactly should we be talking about. 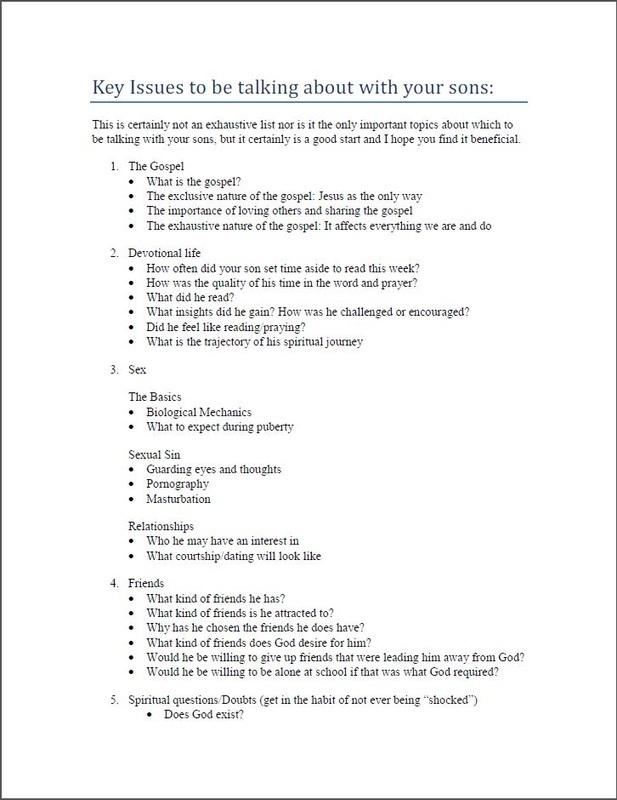 This document lists some of the key areas of discussion vital for your son to develop into a healthy and productive member of Christ's kingdom. But how? 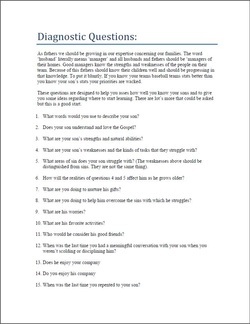 We know we ought to be engaged in an ongoing dialogue with our sons but how can we do that and what tools might make that job easier and more effective. 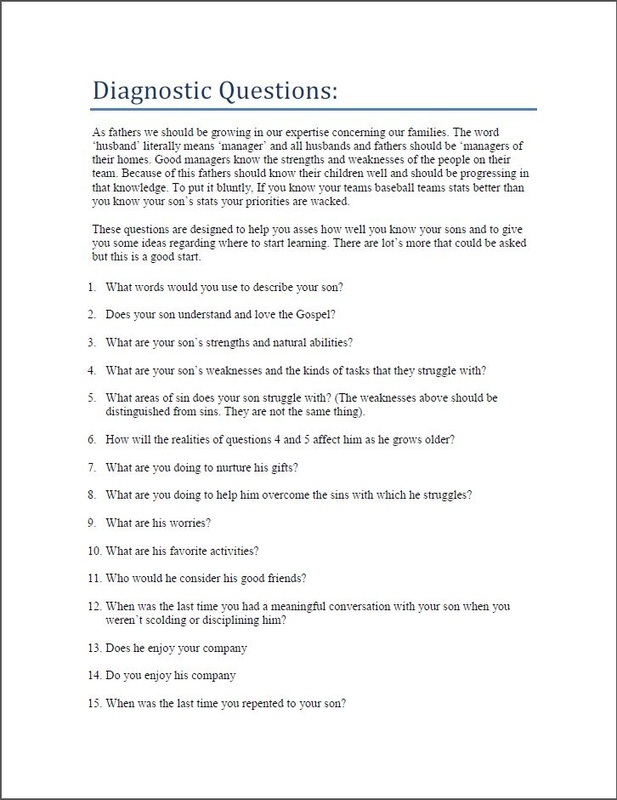 This document is not a how to manual or a book. 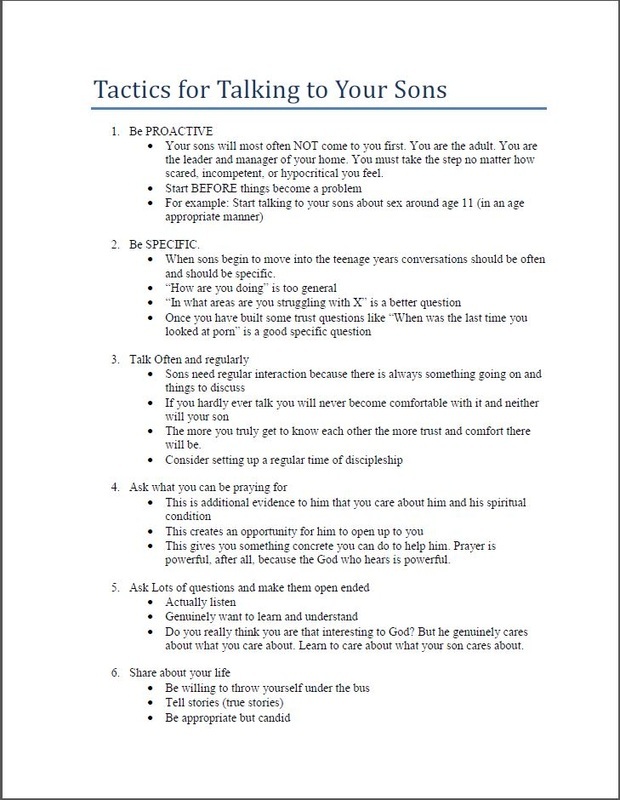 It's just a simple handout that lists what we believe to be very practical, simple and helpful tools and methods for engaging on dialogue with our sons.